What happens when a family suffers a tragedy and everyone blames themselves? The Dahl family is reeling from an unspeakable loss. Jenny channels her grief – and secret guilt – into an obsession. Teenager Ella, a competitive high school cheerleader, seeks to atone by being the perfect adolescent for her parents, numbing her pain in secret. Ethan, a pilot, is on a singular mission to preserve what’s left of his family – to little success. Everything changes, though, when Ella makes a shocking decision. 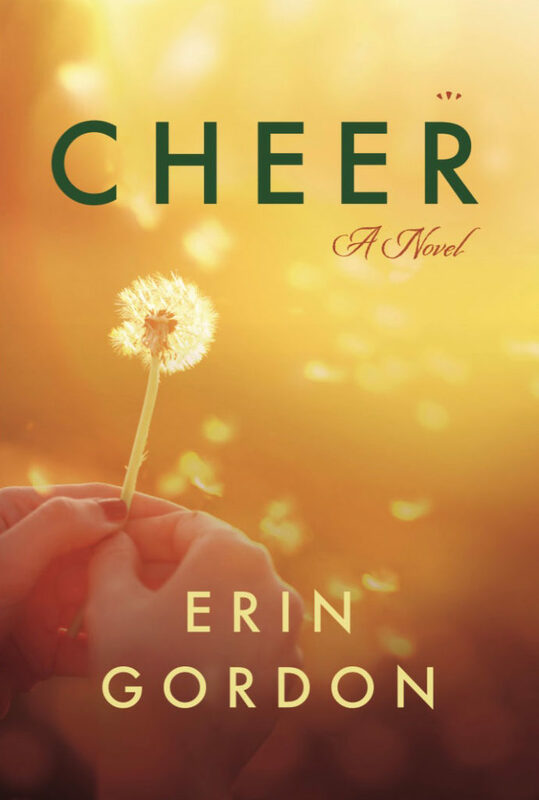 An unforgettable story of redemption and hope, set in idyllic and quirky Marin County, California, Cheer is a rich exploration of a family’s resilience in the wake of betrayal and tragedy. Told from three perspectives, this story is for anyone who has been a mother or a daughter. Perfect for book clubs, the novel concludes with questions for discussion. This emotionally riveting debut established longtime journalist Erin Gordon as a novelist to follow.